December 22nd, 2012 by Conor Murphy in Mobile Gaming. The world didn’t end on December 21, 2012, and that means that you still have a chance to pick up some great video games. If you’re still saving up to prepare for the apocalypse, then you also need something affordable. Here’s a list of the best iPhone Games in 2012 to help you find quality entertainment without breaking the bank! Also make sure to check out all of our Games for iPhone!! What’s better than just narrowly avoiding being eaten by a zombie (besides very widely dodging being eaten by a zombie)? How about an undead apocalypse from a hit TV show! Hidden Object Game fans will find some familiar elements in this title, as players must find clues and collect items to get equipment like radios working again. 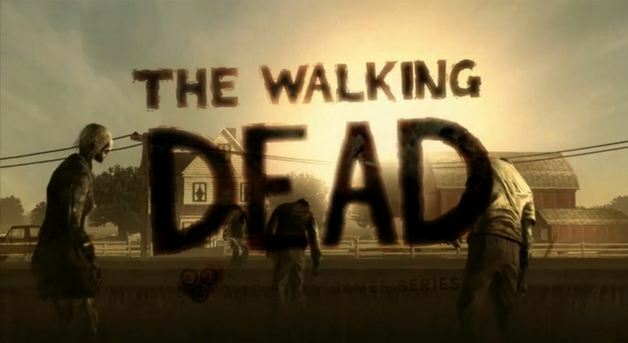 However, The Walking Dead: The Game also provides a good dose of choose-your-own-adventure play. The plot follows the story of a convict named Lee Everett, who must protect a girl named Clementine from the undead horde. How that is done that is up to you, but your actions may have unforeseen consequences throughout the game’s five episodes! It’s not easy to develop a completely unique game with so many titles to choose from, but it’s hard to find anything else that is quite like Bastion. The plot line follows a post-apocalypse setting while the narrative style seems to come straight from a Western. Sure, the basic gameplay is traditional of action-packed Role-Playing Games, but there are plenty of different factors to keep you busy. Power-ups, different weapons all with unique abilities and hidden objects that can adjust the game’s difficulty! The title was originally launched for the PC, but was received favorably in its iOS debut, receiving a metacritic user score of 8.3. “For gamers entering the world of Bastion for the first time, you’re in for a treat. Supergiant Games has created a masterpiece of gaming narrative that extends to the game’s visuals, story, narration, music, and gameplay,” wrote Touch Arcade contributor Eric Ford. 2012 may have just been the year of Adventure Games for the iPhone. Lost Winds 2 is the sequel to a game that disappointed some, but the title proves that second chances can pay off. The plot revolves around a little boy named Toku who must use his special powers to save his mother. His abilities are tied to the elements, so he can do things like use the power of wind to make it across gaps and dodge enemies. Pocket Gamer contributor Mark Brown commended the game for bringing improved controls and a much bigger world in the second incarnation of Lost Winds, making it a much more fulfilling experience. It’s easy to misjudge bees when your only experience with them is being stung, but try walking a mile in the shoes of an average worker bee and see if you can still hate them. At least in the case of Gamezebo contributor Dant Rambo, playing Bee Leader created some appreciation for the bee’s plight. The goal of the game is to collect as much nectar as possible before sunset. As you navigate from flower to flower, you’ll have to keep hornets – the sworn enemy of bees everywhere – from stealing your nectar. You do get some items to help you out, like time bonuses that will make it longer before sundown. Much like Rambo, a quick look at this game’s playful style made us bee-lievers. When your teachers asked you what you wanted to be in school, we’re willing to bet you didn’t say “burglar extraordinaire.” While a life of crime still doesn’t pay, a virtual stealing spree can be a lot of fun and comes with approximately 100 percent fewer prison sentences! That’s the basic premise behind Beat Sneak Bandit, but you’ll also find that some robbers need to get their groove on. To get the game’s main character through each stage, players have to tap their iPhone screens to the beat. Of course, this isn’t as easy when you have to stay out of the gaze of guards and avoid trap doors. What would a rich mansion be without traps to protect the loot? From bees to bandits and the inevitable zombie apocalypse, 2012 brought us some really fantastic free games as well. If you’re looking for some free titles to fill out your iOS gaming library, here’s a list of the best free games for iPhone from the past year! This title was a big hit with its original PC release in 2007, but is also an example of how an iOS release can bring a franchise back into the limelight. If you’re unfamiliar with Fairway Solitaire, the concept may sound a little strange – a combination of golf, the card game and gophers! However, reviewers such as Touch Arcade’s Nissa Campbell found gameplay to be oddly compelling. Each game of solitaire represents a hole of a golf course. Don’t worry, you don’t need to be a fan of put-put to enjoy this game – in fact, if you’ve ever been frustrated by cards that stall your game, this might be the solution for you! If you run into a roadblock of cards, you can move on to the next hole. Just make sure your final score is below par! Other players agree. In addition to earning a four-and-a-half star rating on iTunes, IGN recognized Fairway Solitaire in the 2012 People’s Choice Awards for Best Mobile Game. 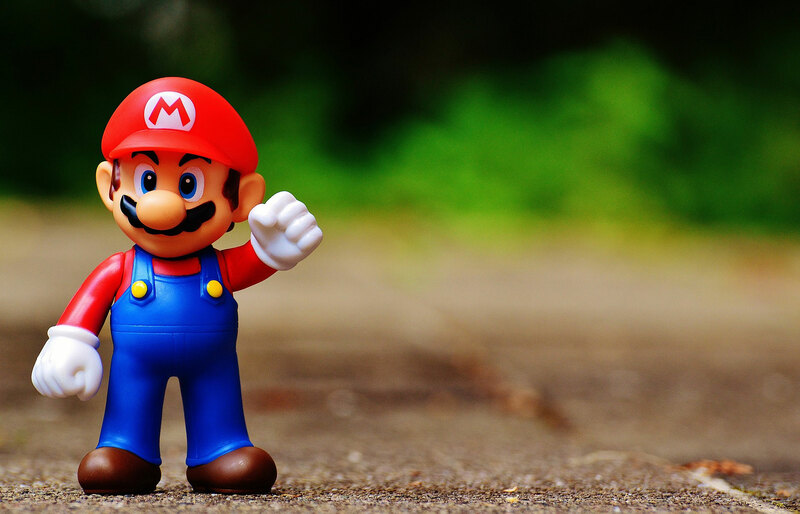 Platformer Games follow a relatively simple formula. Players must run, jump and dodge enemies to make it to the end of a stage (hopefully, without falling to their deaths). Even so, it can be difficult to bring a good jump-themed adventure to mobile. Mega Run does just that without a light-hearted, and, as Gamezebo contributor Eli Cymet noted, Mario fans will love it. He also called it “mega fun” and who are we to argue with puns of that stature? The game’s style is eloquently portrayed in its graphics and sound quality. Indeed, the enemies plop and the cannons boom, but it’s also got this carefree music that just makes it tough to get frustrated if you happen to fall into a pit of certain doom. The one thing that is certain about Final Fantasy is that it will be a long time before there’s actually a final game in the franchise. Fans of the older games will enjoy this title’s return to more fantasy-centric themes. Witches and warlocks and magic, oh my! But there is more than just nostalgia to Final Fantasy Dimensions – it delivers quality graphics in high resolution. IGN contributor Justin Davis also commended the title for character building flexibility. If you want to switch out characters’ roles on the fly and experiment with new abilities, you can do it in Final Fantasy Dimensions. Some of the boss battles include elements from Puzzle Games, so the challenge takes you above and beyond hack-n-slash! One factor to consider is that, although it is a free download, the game’s content is delivered in episodes that can be purchased. The goal of this title may seem pretty ambitious: Players have to dig through the Earth’s crust as quickly as possible. Fortunately, you do have the expert spelunking skills of the main character, who you can guide by sliding your finger across the touch screen. There will be a lot of decisions to make as you navigate the underground world of treasure. Do you go for the bag of gems that is precariously placed next to a spike trap or do you try for a safe getaway? The title supports itself through in-game purchases, but Gamezebo contributor Eli Cymet said these are mostly supplementary advantages. In other words, lacking the paid functionality will not inhibit core gameplay. Trivia lovers may recognize this title, as it comes from a franchise that has provided entertainment for more than a decade. It hit the computer game shelves in the mid 90s with its crass humor and pop culture savvy questions. 2012 brought the title to the iPhone as a free downloadable game and continued the franchise’s success. Can you identify whether a description fits an elephant, mustard, Teddy Roosevelt or Dracula? The number of games you can play per day is limited without spending money, but if you’re looking for a daily dose of knowledge and superb question delivery, You Don’t Know Jack is tough to beat. The iOS version features fake commercials from fictional sponsors in addition to the myriad of strange trivia, and it also supports Facebook connectivity if you’re the type that likes to compete with friends! “You Don’t Know Jack is one of the best board/trivia/online games in the App Store that simply delivers a thoroughly engaging and entertaining experience like no other,” wrote Apple’N’Apps contributor Trevor Sheridan.